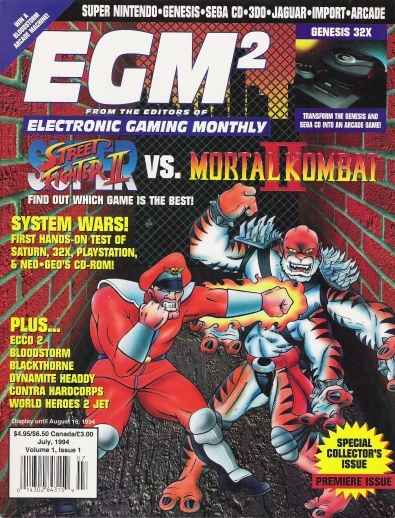 It has recently come to my attention that a LOT of people find my site when trying to find sites that relate to Mortal Kombat vs. Street Fighter, so I have now set up a special section devoted to this topic, seeing how popular this subject is. 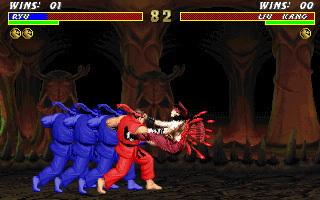 In this section, we'll explore fake pics, music, sprite comics, videos, and Flash animations that all touch on the subject of Mortal Kombat vs. Street Fighter. Let's begin with a quote from the head honcho himself, Ed Boon. 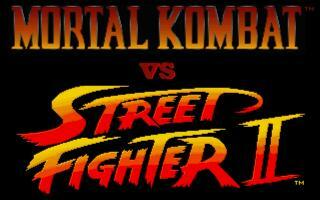 Ed Boon: "I've always been a big fan of other fighting games. 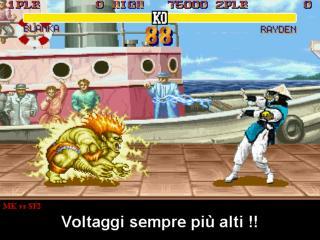 I play all of the big fighting games in the genre – Tekken, Virtua Fighter, Street Fighter and so on. 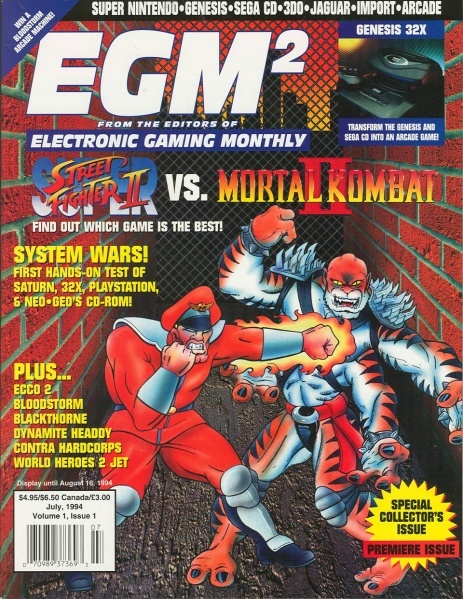 I've always wanted to cross over with another series..."
Ed Boon: "So, we actually pursued some crossing with some of these other fighting games but it never really panned out..."
Ed Boon: "I think the underlying thing that was always a problem was that it was always our competition. 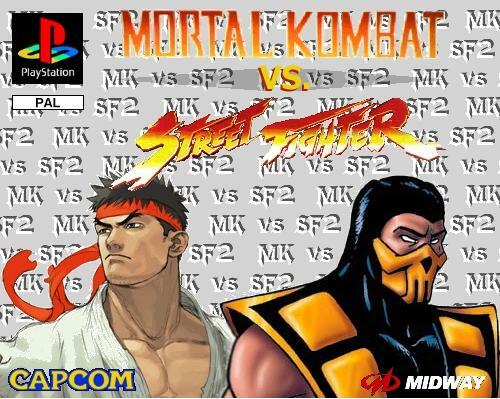 If we were to do a Street Fighter vs. Mortal Kombat game, who's going to develop it, and who's going to own the rights to it? It's that kind of issue." Ed Boon: "I did a couple of write-ups and whatnot on it, and sometimes we'd get really close to it but issues like our representative for the other company left the company for some reason, and that reset the whole thing back to beginning..."
Ed Boon: "I still want to see it happen." To read the interview in its entirety, and to read the quotes in their original context, click here. So, it seems like Mortal Kombat vs. Street Fighter (at least in its official capacity) is not going to happen any time soon... that's where the fan community comes in! Some of these are OLD, and it's near impossible to track down the creator. Kitana vs. Ryu by ?? Ryu vs. Liu Kang by ?? 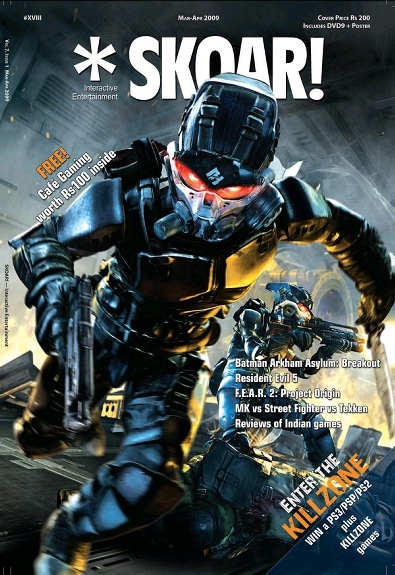 MK vs. SF game cover by ?? MK vs. SF logo by ?? Blanka vs. Raiden by ?? 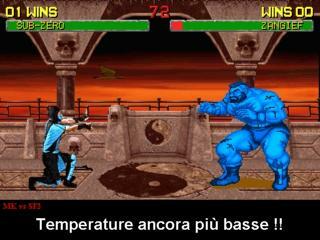 Sub-Zero vs. Zangief by ?? 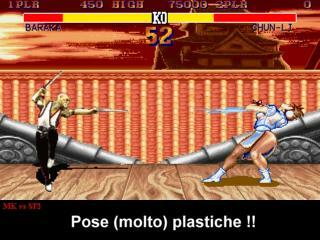 Johnny Cage vs. Dhalsim by ?? Baraka vs. Chun Li by ?? 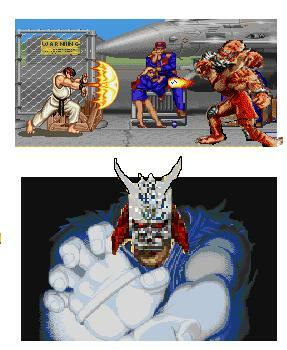 Ryu vs. Reptile by ?? 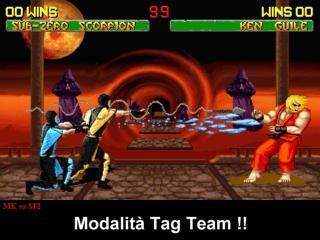 Scorpion & Sub-Zero vs. Ken by ?? 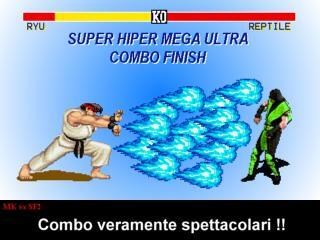 Guile vs. Liu Kang by ?? Here, you can see some comics that approach this subject, including ones by me as well as others. If you like these, check out the MK Sprite Comics section. 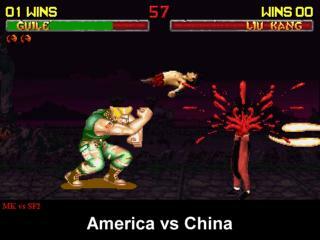 Here's some Flash animations (and a couple animated .GIF's as well) that deal with the subject of Street Fighter vs. Mortal Kombat. If you like these, check out the MK Animation section. If you like these, check out the Funny MK Videos section. 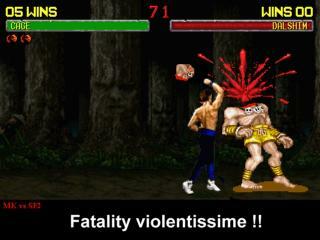 There are at least a couple Flash games that tackle the subject of mixing Mortal Kombat and Street Fighter together. If you like these, check out the Games section. That's right, some people have even mixed together some custom music to promote the idea of a crossover between Mortal Kombat and Street Fighter. 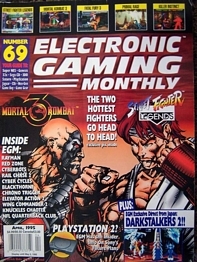 There's an trading card/battle game released in September 2005, that featured Mortal Kombat and Street Fighter cards. 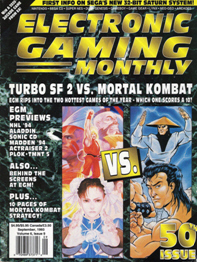 Big names such as Udon Comics and Score Entertainment were involved. 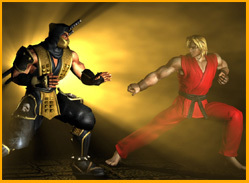 Read the article on MK Online breaking the news here. 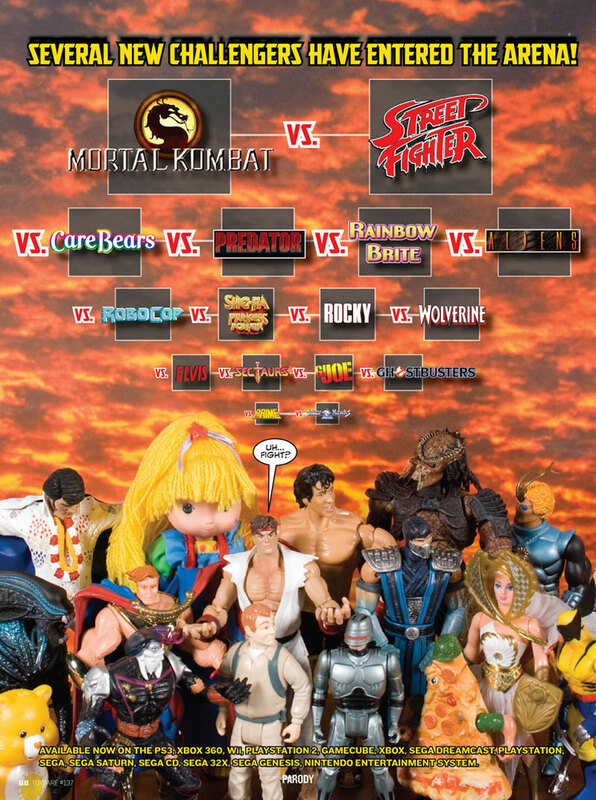 There's also a Toyfare magazine ad parody for Mortal Kombat vs. Street Fighter vs. CareBears vs. Predator vs. Rainbow Brite vs. Aliens vs. Robocop vs. She-ra: Princess Power vs. Rocky vs. Wolverine vs. Elvis vs. Sectaurs vs. G.I. Joe vs. Ghostbusters vs. Prime vs. Silverhawks. Finally, there's the first ever cross-gaming interview with both Shao Kahn and M. Bison, written by Jenn Dolari. 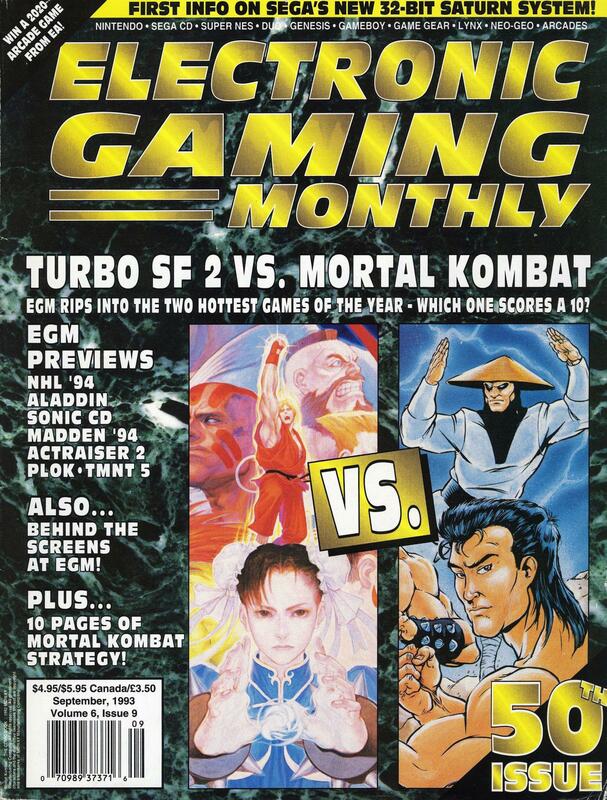 Legacy - Street Fighter & Mortal Kombat - The only site I know of whose purpose is to deal with this topic. Last updated in 2000, by CRFL Productions.